The Wave TLK100 Radio is here! 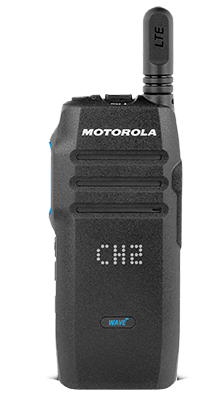 The exclusive two way radio built for Motorola Wave OnCloud is available for purchase. Combined with all the features of the Wave app, this rugged two-way radio functions on a nationwide network. Get the best of both worlds by using two-way radio communication on a nationwide cellular network. By connecting to your current existing Land Mobile Radio (LMR) systems and smartphones, the WAVE radio extends push-to-talk benefits to all your team members, whether they’re on the same job site or across the country. Learn more about the Wave TLK100. Motorola has launched the WAVE Two Way Radio (TLK 100). This rugged two way radio is revolutionary in that it can connect your team at the push of a button across different networks and devices. You are no longer confined to the radius of a two way radio system. With the Wave Two Way Radio, you turn your phone into a PTT handset and get instant communication at the touch of a button.